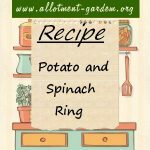 Recipe for Potato and Spinach Ring. Cheese can be added to the potatoes and/or béchamel sauce and sprinkled over the potatoes before baking. Serves 3 to 4. 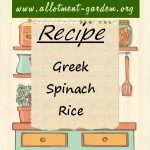 Recipe for Greek Spinach Rice. A very healthy dish. Can be used on its own, with BBQ'd Chicken or Greek Easter Lamb. Serves 4. Serve with salad and crusty bread. This easy to make Creamy Spinach & Ham Bake Recipe makes enough for 4 people. Recipe for Cream of Spinach Soup. Serve 4. Rich and satisfying. You can use frozen spinach when it is not in season. Recipe for Spinach and Rice. The combination of the spinach with the rice makes this a colourful vegetarian dish. 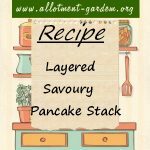 Also a good start to your 5 a day! Recipe for Spinach Pancakes with Creamed Cheese and Chives. Makes 4 x 2 pancake servings. Serve with a salad as a light meal. 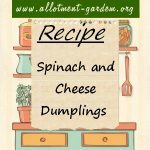 Recipe for Spinach and Cheese Dumplings. Nice accompanied with a spicy tomato sauce. Serves 4. Recipe for Savoury Spinach Pie. A filling main course dish that serves 4. Another way to get your greens. Recipe for Eggs Florentine. Makes 2 - 4 portions as breakfast or side dish. Serve hot. Recipe for Layered Spinach Pancakes. A little messy to make but well worth it!